Creosote is a tar-like substance used to protect the railroad ties against the elements. The EPA has not approved creosote as a wood treatment for residential use. 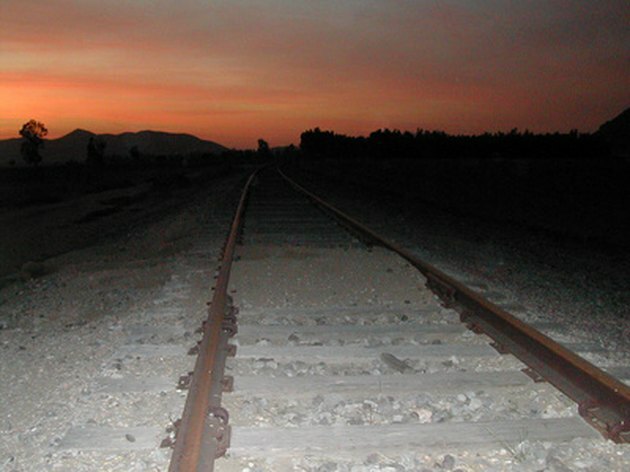 The creosote on the treated railroad ties is considered a toxic substance and can contaminate groundwater and soil. This is because the creosote slowly seeps into the ground over a period of time. Creosote-treated railroad ties should not be used around veggie gardens or fruit trees, playgrounds or any other place where it may come into contact with food or children. Railroad ties treated with creosote can be sealed to lessen the chances that the toxins will be absorbed into the soil or water. Railroad ties are commonly used for landscaping and yard projects. 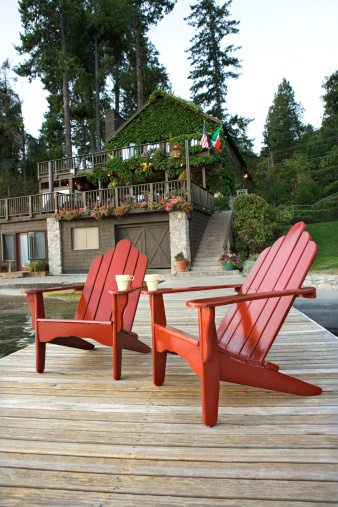 Purchase a polyurethane that is recommended for outdoor use to get the best results. A product made for outdoor wood treatment and sealing will last longer and cover better. Do not shake the can of polyurethane before opening. Shaking the can will cause bubbling when applied. Open the lid of the polyurethane and stir with a stirring stick to mix it up. Use a thick paint brush to apply a generous coat of polyurethane to the creosote-treated railroad ties. Cover the entire railroad tie and allow to dry for at least an hour. Apply another coat of polyurethane if you notice the black, tar-like substance seeping from the wood. Dig a trench for placing the railroad ties. Once you have dug a shallow trench for the railroad tie, place the tie into the trench. Level the trench by adding or subtracting dirt under the railroad tie until the tie sits level in the trench. Use black landscaping plastic as an underlayment to protect the soil and water from creosote that could potentially seep out over time.